Securing a pallet or crate has never been easier. 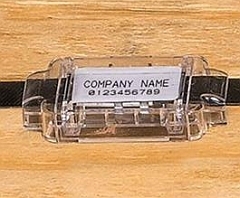 The patented Snap-N-Secure can be applied to steel or poly banding up to 3/4” in width with clip sizes up to 1-1/4” long. The Snap-N-Secure is the first pallet & crate seal which can be applied without the use of any tool. Simple hand pressure is all that is required to lock the seal in place. Any tampering attempt will cause the high strength polycarbonate to crack at predetermined indication points. Aggressive tampering will cause the housing to shatter and reveal tampering as it is impossible to reassemble or hide tampering of the uniquely printed security seal. 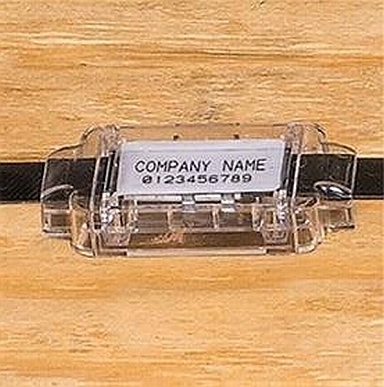 Can also be used in combination with Tamper Evident Pallet Tape or Pallet Covers to further deter pilferage.